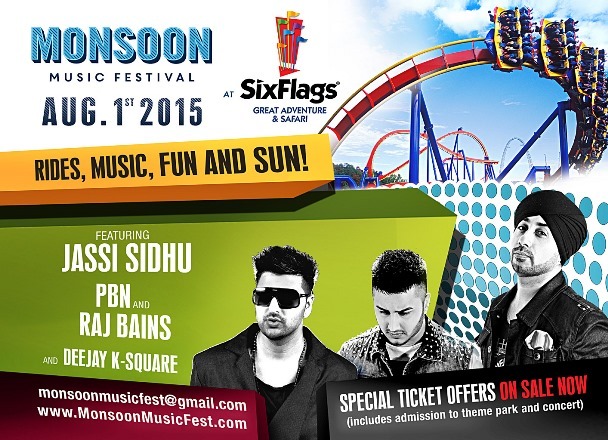 Six Flags Great Adventure welcomes the Monsoon Music Festival to the Movietown Arena August 1. The summer’s hottest South Asian Festival features Jassi Sidhu with PBN, Raj Bains from the UK and Deejay K-Square from Canada. Concert starts at 5 p.m. and a separate event ticket is required. Theme park admission, Season Pass or Membership is also required. 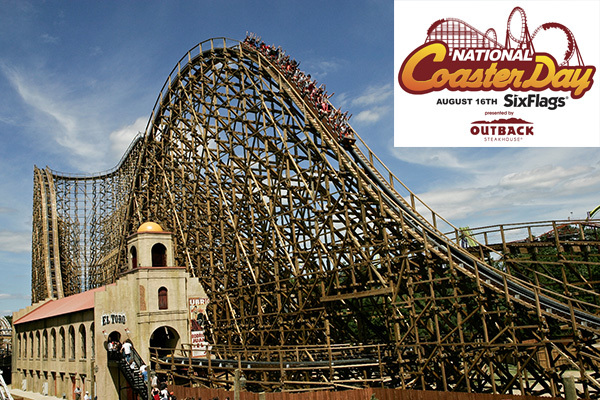 For more information and ticket prices visit www.sixflags.com/greatadventure. Six Flags is looking for friendly, outgoing people to help serve our guests a meal to remember. The park will host a special job fair from 10 am to 3 pm in the Employment Center. Candidates must be age 16 and older, and available to work for Food Services through the remainder of the summer and through Fright Fest and Holiday in the Park. Being an employee at Six Flags Great Adventure has tons of benefits including free tickets for friends, employee discounts and more. Please complete the pre-employment application before attending the job fair at www.sixflagsjobs.com, and come ready to put your best foot forward. International Star Illusionist and New Jersey native Brad Ross comes to the Showcase Theater at Six Flags Great Adventure. His show combines a theatrical collection of high-energy, spellbinding magic, cutting-edge illusions and astonishing wonders live on stage. Ross has been dazzling audiences of all ages for over two decades and has entertained millions of people worldwide. Ross’ show “Unbelievable” will run daily except Tuesdays at 2:30, 4:30 and 6:30 p.m. from August 3 to 30, 2015. TriniFly Promotions and Overdrive Productions team up to bring the first-ever FreeStyle Music Festival to the Plymouth Rock Assurance® Arena. Concert features live performances by legendary freestyle artists TKA, Judy Torres, Coro, Noel, Freedom Williams of C&C Music Factory and more. TKA is an American Latin Freestyle trio who have been dubbed the Kings of Freestyle with hits like “One Way Love” and “Come Get My Love.” Singer and actress Judy Torres has had her share of club hits and can currently be heard on-air on 103.5 KTU in NYC. Separate ticket is required for this concert in conjunction with theme park admission, Season Pass or Membership. 2015 marks the 10th Anniversary of the Six Flags Caribbean Concert Series. The show features Shaggy, Lady Saw, Lyrikal, Olatunji, Dexta Daps, Kreesha Turner, Angela Hunte and Kyron DuPont live in concert. A separate ticket is required in conjunction with theme park admission, Season Pass or Membership. For more information, visitwww.sixflags.com/greatadventure. Six Flags Great Adventure and 92.3 AMP present Austin Mahone in concert. Mahone, who got his start by posting his videos on YouTube, will be joined by Pia Mia who rose to fame the same way. The two internet sensations will be joined by New Jersey’s own Jacquie Lee, who participated in 2014’s season of The Voice. Concert takes place in the Plymouth Rock Assurance® Arena at 7 p.m. and is included with theme park admission, Season Pass or Membership. Six Flags Great Adventure presents the Salute the Troops Concert with Dan + Shay as part of the MIKE AND IKE® ZOURS® Summer Concert Series. Dan + Shay are an American country music duo from Pennsylvania and Arkansas. They have opened for Hunter Hayes and Blake Shelton on their respective tours. Concert starts at 7 p.m. and is free with theme park admission, Season Pass or Membership. All active military will receive free theme park admission August 26 with I.D.